This statue of Our Lady of Fatima faithfully represents her appearance at Fatima, with a rosary, a white cape on her shoulders, standing on a cloud and with a crown on her head. 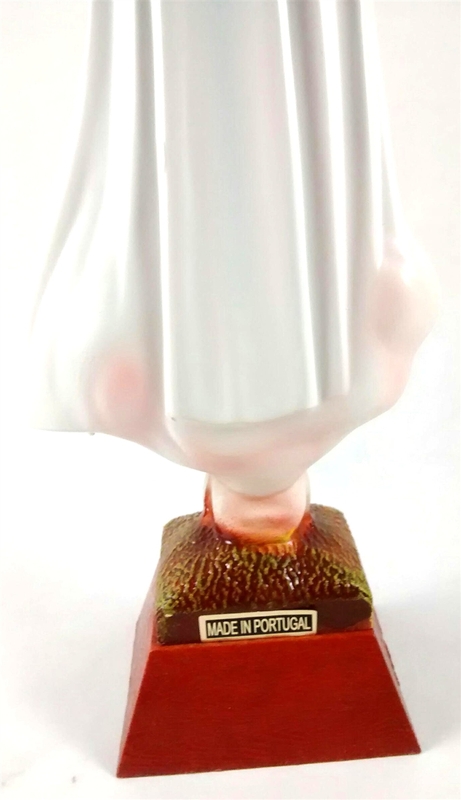 It is hand-painted with glass eyes and is made in Fatima. It comes in two sizes. The height includes the plastic crown.